Gifted Kids Is My Child Gifted? Asynchronous development refers to an uneven intellectual, physical, and emotional development. In average children, these three aspects of development progress at about the same rate. That is, the development is in "sync." An average 3-year-old has the intellectual and physical abilities as well as the emotional maturity as most other 3-year-olds. However, in gifted children, the development of those areas can be out of "sync." The gifted child's intellectual development can be more advanced than her physical and emotional development, which progress at a different rate. For example, a gifted 5-year-old can be discussing the problem of world hunger one minute and the next minute throwing a tantrum because he has to go to bed. It can be frustrating and sometimes confusing for parents because these children don't always act their chronological age intellectually, but then show typical emotional, social, and physical behavior for children of their chronological age. The higher a child's IQ is, the more out of sync her development is likely to be. A gifted child who is years ahead of his or her age-mates is not always years ahead emotionally or socially. Advanced intellectual ability simply does not enable a child to manage emotions any better than any other child. While it is possible for a child to be advanced in all areas of development, it isn't expected. Eventually, the development evens out, almost always by sometime during the early teen years. Asynchronous development is uneven and can cause some real problems for gifted kids and their families. These problems are worse for the kids when their parents don't understand this developmental pattern. Gifted children often feel like misfits, particularly when they are in classes with traditional learners. It's important not only to pay attention to a child's intellectual development but his social and physical development as well. Expectations for gifted children with asynchronous development can be both unrealistic and unfair. A 5-year-old who can discuss the theories of dinosaur extinction or devise strategies to help the homeless is still a 5-year-old. That means that this child can become emotionally upset just like any other 5-year-old. However, because the child is intellectually advanced, thinking and talking like a much older child, some adults may mistakenly expect him to have the emotional control of an older child. It's crucial, therefore, for parents to recognize that a gifted child's emotional and social development will not always match his or her intellectual development. Before responding to a child's emotional outburst or concluding that a child is socially or emotionally immature, stop a moment to remind yourself of the child's chronological age. The behavior may be totally in line with one expects from children of similar age. 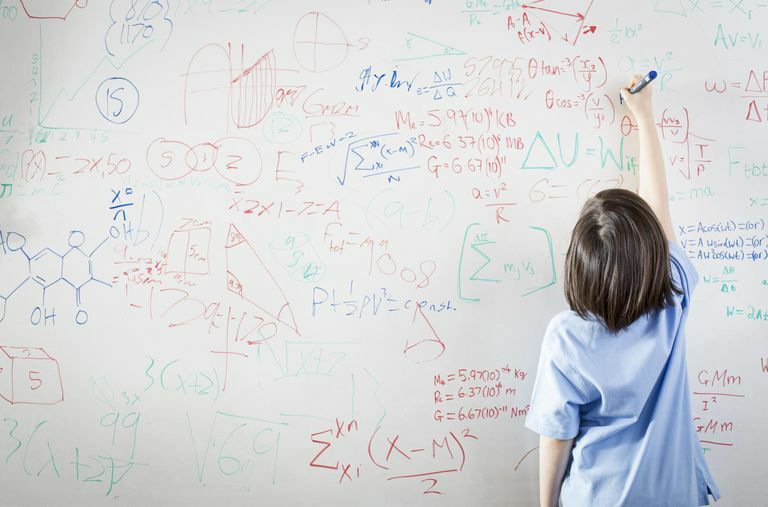 Another challenge of gifted children is that their physical development may not be as advanced as their intellectual development, but is advancing as expected for their age. For example, an intellectually advanced child is able to evaluate the work that she does and compare it to the work of adults. She can visualize a completed picture in her mind, but her fine motor skills may be insufficiently developed to allow her to draw or paint it. She will get upset when she sees that her work does not measure up to the work of adults. She doesn't understand that the issue is that her physical development has not reached the level that would allow her to do the kind of work she imagines. When a child's parents understand asynchronous development, they can support their child and help the child understand that their muscles simply aren't ready to do what their minds want them to do. Recognize that a gifted child's emotional and social development will not always match his or her intellectual development. Before responding to your child's emotional outburst or concluding that your child is socially or emotionally immature, stop a moment to remind yourself of your child's chronological age. Understand that asynchronous development creates special needs. For example, gifted children need emotional support as do all children, but they also need advanced intellectual stimulation. A gifted 4-year-old who can discuss black holes still needs comforting hugs. Recognize that gifted children may not get their emotional, social, and intellectual needs met by the same peers. This means that they may be able to socialize to a degree with children their own age but may also need opportunities to interact with other gifted children, older children, or even adults. Parents should make every effort to provide these opportunities. Your child may have intellectual development that is ahead of her peers, but she is likely to have emotional, social, and physical development more in line with other children her same age. She will need your support, understanding, and guidance as this can be confusing and frustrating. Does My Toddler Have Hyperlexia If He Is Reading? Should My Child Go to Grief Counseling? How Would You Know If Your Preemie Is Gifted? Can a Service or Therapy Animal Help Our Child With Special Needs? Is Technology Helpful or Hurtful for Kids With Learning Disabilities?